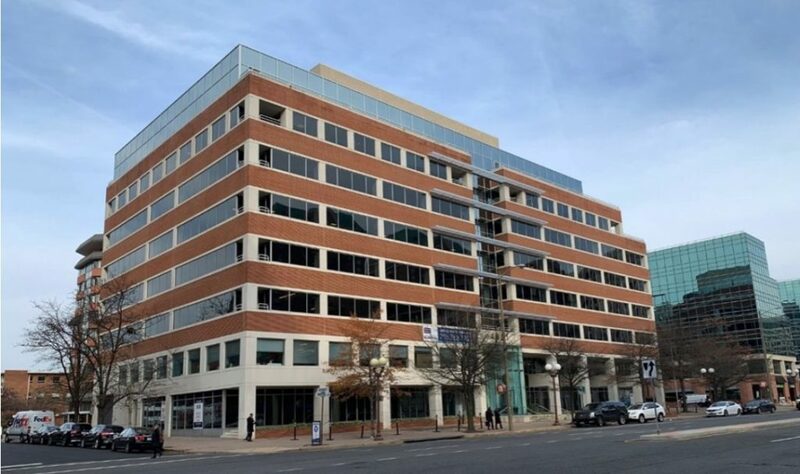 A Ballston office building that’s sat largely empty ever since a federal agency moved out a few years back could soon lure a bevy of new tenants to the space. The Arlington Square building, located at 4401 Fairfax Drive, looks set to experience a bit of a revitalization. The County Board is set to consider a series of zoning changes for the property tomorrow (Saturday) to lure in two tenants, and other retailers look to be on the way as well. Built in 1988, the eight-story building was long the headquarters of the U.S. Fish and Wildlife Service. But the agency took off for Falls Church in 2014, as part of a series of federal tenants leaving the area, and the building has been “mostly vacant” since then, county staff wrote in a report to the Board. The Brookfield Property Group bought Arlington Square for $33.5 million back in 2017, paying substantially less than its previous owner did in acquiring it for $53.9 million in 2010, according to county property records. The developer now “intends to attract a variety of uses and tenants to occupy the building,” staff wrote. A behavioral therapy provider, known as “Mind Body Health,” is also hoping to move into about 2,400 square feet of space on the building’s second floor. The business is currently based in Courthouse, in a building at 2200 Wilson Blvd, and is looking for a new permit to operate in the space. Brookfield is also planning on adding two retailers to the ground floor, to further “activate the streetscape,” staff wrote. One, the soup-and-salad restaurant Zoup!, has already posted signs at the location. The other looks to be Poke It Up, according to a report from Eater D.C., a chain with a location in the Pentagon City mall. The Board has certainly put an emphasis on reversing the county’s rising office vacancy rate in recent years — though Amazon’s arrival in Crystal City and Pentagon City will make a huge impact on that effort, officials have warned that neighborhoods like Ballston and Rosslyn still have some catching up to do.